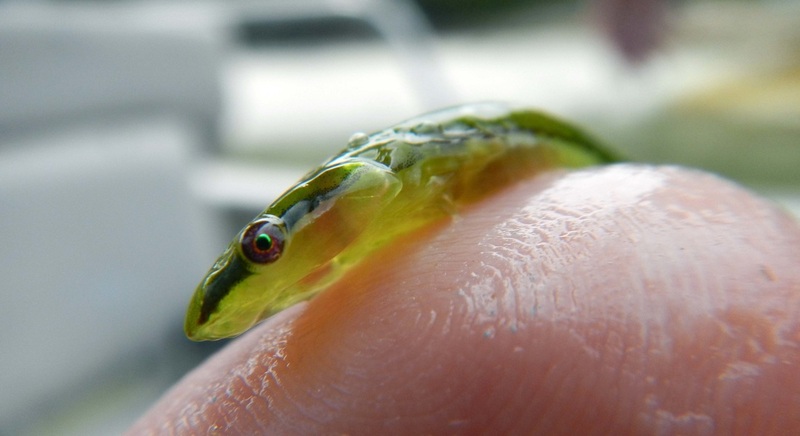 This little fish (to 7 cm long) varies from olive or emerald green to yellow or golden brown. Its fins are small and inconspicuous, and it has a slender, elongated shape. Like other clingfishes, its modified pelvic fins join on its underside to form an adhesive disk — a small one, in the case of this species — which it uses to suction on to eelgrass and kelp. 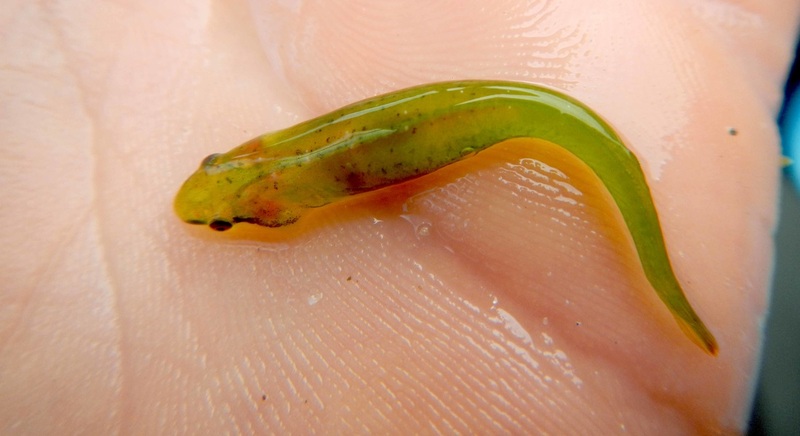 The kelp clingfish camouflages successfully in the eelgrass and kelp beds it inhabits. It is found from the intertidal to 18 m deep, and is common in shallow bays next to exposed shorelines. Its range extends from southern Alaska to northern Mexico. When this fish is examined closely a tiny red heart can be seen beating beneath its skin. Froese, R. and Garilao, C. V. Rimicola muscarum (Meek & Pierson, 1895). FishBase. Accessed 17/09/2015. Lamb, A. and Edgell, P. Coastal Fishes of the Pacific Northwest. Revised. (2010). Madeira Park, BC: Harbour Publishing. Pp. 284-285.